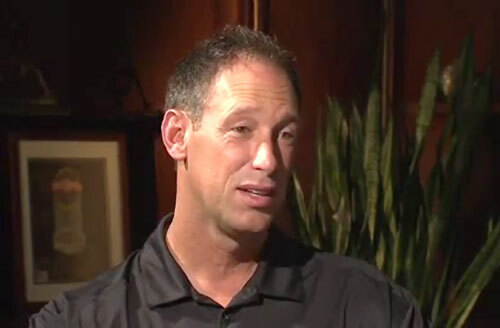 Luis Gonzalez is a former MLB outfielder who played for the Houston Astros from 1990 to 1995, the Chicago Cubs from 1995 to 1996, the Houston Astros again in 1997, the Detroit Tigers in 1998, the Arizona Diamondbacks from 1999 to 2006, the Los Angeles Dodgers in 2007 and the Florida Marlins in 2008. Gonzalez is a World Series champion for 2001 and a five-time All-Star for 1999, 2001, 2002, 2003 and 2005. While playing for the Arizona Diamondbacks Gonzalez made the winning hit of the 2001 World Series against the New York Yankees with the bases loaded in the bottom of the ninth inning. Gonzalez earned a Silver Slugger Award in 2001 and in 2010 Gonzalez’s number 20 was was retired by the Arizona Diamondbacks. PFP Sports Talent Agency is a top booking agent for motivational sports speakers and sports personalities. If you would like to book MLB stars like Luis Gonzalez for a speaking engagement, personal appearance or special event, you can request Luis Gonzalez agent and speaker information from PFP Sports Talent Agency or call 800.966.1380.